In connection with the purchase of the Old Master paintings, ZUKERMAN schemed to defraud New York State of over $4.5 million of sales and use taxes by directing that the paintings, which were frequently purchased from galleries located blocks from ZUKERMAN’s Manhattan residence, be shipped by the galleries to ZUKERMAN’s corporate addresses located in Delaware and New Jersey, and transported immediately thereafter (sometimes within minutes), by ZUKERMAN and others, back to ZUKERMAN’s residence in New York – all without the payment to New York State of sales or use taxes. ZUKERMAN further schemed to defraud New York State of sales and use taxes by using his corporate address in New Jersey to be falsely listed on a sales invoice for a $645,000 pair of diamond earrings he purchased in Europe from a jeweler who turned over possession of the earrings to a member of ZUKERMAN’s family in Manhattan but charged no sales tax, based on the out-of-state address provided by ZUKERMAN. ZUKERMAN also schemed to evade personal income taxes and to obstruct the IRS by (i) causing various tax return preparers to prepare U.S. Individual Income Tax Returns, Forms 1040, for ZUKERMAN and his wife, and for Family Member-1, Family Member-2, and Family Member-3, that claimed, in the aggregate, millions of dollars of false and fraudulent deductions and expenses, such as phony charitable contributions and investment interest expenses; (ii) diverting, for personal use, corporate assets from MEZCO and other corporate entities ZUKERMAN controlled by directing that hundreds of thousands of dollars of fees be paid between 2007 and 2013 to Family Member-1, Family Member-2, and Family Member-3, for which the family members performed little or no work; (iii) directing that corporate funds be used to pay compensation to, and health care insurance for, a household employee of ZUKERMAN, whom ZUKERMAN also caused to be falsely identified as a MEZCO employee to ZUKERMAN’s corporate health care provider when, in truth and fact, the household employee worked exclusively out of ZUKERMAN’s homes in New York City and in Maine as a domestic employee; (iv) falsely under-reporting employment taxes through the payment of hundreds of thousands of dollars of cash and other wages to ZUKERMAN’s domestic employees; and (v) providing false information to the IRS during audits in an attempt to fraudulently convince IRS auditors and other IRS employees that the fraudulent claims made on his previously filed tax returns were accurate when, in truth, they were not. ZUKERMAN’s fraudulent charitable contribution deductions – totaling $1 million – arose out of a real estate transaction in 2009 and 2010, pursuant to which ZUKERMAN purchased approximately 240 acres of property on Black Island, a small island located off the coast of Maine, close to ZUKERMAN’s home on a nearby island. ZUKERMAN was enlisted to purchase the Black Island property by a Maine-based land conservation entity (“the Conservation Entity”) that was seeking to orchestrate the purchase, for conservation purposes. After considering making a charitable contribution to the Conservation Entity intended to be used to purchase the property, ZUKERMAN decided instead to purchase the land as the outright owner for the benefit of himself and his family for $1 million through a newly formed limited liability company he solely owned. ZUKERMAN, however, falsely told his tax return preparer that the $1 million he paid for the property should be declared on his personal income tax returns as a charitable contribution to the Conservation Entity during the 2008 and 2010 tax years. ZUKERMAN subsequently signed the false 2008 and 2010 tax returns and caused them to be filed with the IRS. ZUKERMAN orchestrated the creation of hundreds of thousands of dollars of fraudulent “investment interest expense” deductions on his own tax returns and those of three family members. ZUKERMAN accomplished this by falsely telling his tax preparers that payments made from the personal bank accounts of ZUKERMAN and his family members to a California bank were made to legitimately satisfy loan interest payments owed by one of his California companies. In fact, although the interest payments were initially made from the bank accounts of ZUKERMAN and those of his family members (whose accounts ZUKERMAN controlled), ZUKERMAN secretly took funds from the bank account of the California corporation that owed the interest payments and reimbursed himself and his family members. In addition, because the corporation that owed the interest payments had claimed the interest indebtedness as an expense on its corporate tax returns, ZUKERMAN’s claiming of the same expenses on his own tax returns and those of his family members constituted fraudulent double deductions. In seeking to obstruct and defraud the IRS during an audit of one of ZUKERMAN’s companies, ZUKERMAN utilized two attorneys from a law firm in Washington, D.C., to convey a false factual narrative to an IRS Appeals officer, who was undertaking a review of ZUKERMAN’s challenge to an adverse determination made by an IRS auditor during the corporate audit. Pursuant to a “crime-fraud” ruling by the United States District Court for the Southern District of New York, and affirmed by the Second Circuit Court of Appeals, ZUKERMAN’s companies were required to disclose to the grand jury all of the communications between ZUKERMAN and the two attorneys that led to the submission to the IRS of the false factual narrative. ZUKERMAN, 71, of New York, New York, is charged with: one count of tax evasion, which carries a maximum sentence of five years in prison; one count of wire fraud, which carries a maximum sentence of 20 years in prison; and one count of obstructing the IRS, which carries a maximum sentence of three years in prison. The three charges each also carry a maximum fine of $250,000, or twice the gross gain or loss from the offense. The press release does remind its audience that these are just the criminal allegations in the case. The Government will have to prove beyond a reasonable doubt the allegations and the elements of each crime charged. 1. Except for the large numbers and some complexity in the evasion schemes, this is more or less standard stuff in tax crimes cases – tax obstruction under 7212 and tax evasion under 7201 (although the tax evasion allegations are in one count -- Count Two -- for multiple year individual and entity tax evasion which, I think, usually are charged in separate counts). There is a wire fraud count -- Count Three -- for evading state sales and use taxes with the standard dodge of round-tripping valuable personal property purchase out of NY (no sales tax) and then back into NY for personal enjoyment. The latter state tax dodge occurs frequently and is not usually the subject of a federal indictment (at least I don’t think so). Certainly, as indicated, more counts could have been coaxed from the pattern of conduct alleged, but given the operation the Sentencing Guidelines, there are enough counts alleged that conviction of even just the tax evasion and/or wire fraud counts will probably permit the maximum sentence a judge might impose. The tax obstruction count is a 3 year felony, so the Guidelines Range on the allegations made will substantially exceed 3 years and, perhaps, even 5 years, but I doubt that a judge would sentence in excess of 5 years. 2. The schemes were apparently uncovered as a result of random tax audits of a related entity and Zukerman personally. 3. [Note this paragraph was substantially revised later on 5/24/16] One of the obstructions charged relates to Zukerman passing false information to IRS Appeals through two attorneys at a Washington Law Firm. That alone made me curious as to which firm and attorneys were used in the scheme, but I have not been able to find out that information. And, the Government seems to have gotten access to the communications between Zukerman and the attorneys. Since I assume that such information and documents were not given to the Government with Zukerman's consent, As the press release indicates, the attorney-client privilege was pierced by the Government pursuant to district court and Second Circuit opinions. The Second Circuit opinion is In re Grand Jury Subpoenas Dated March 2, 2015, 628 F. App'x 13 (2d Cir. 2015), here. 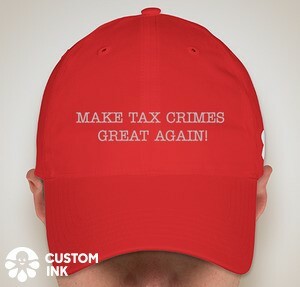 I discussed that Second Circuit opinion in a prior blog entry, Second Circuit Affirms Application of Crime-Fraud Exception to the Attorney-Client Privilege (Federal Tax Crimes Blog 10/10/15), here. 4. It is alleged that Zukerman spread the compliance (tax return reporting) work among various professional firms to prevent any one of them seeing enough of the big picture to identify or suspect the fraud. Those firms are not identified except by pseudonyms. I am not so much interested in the names of the firms and the professionals involved. But I would like to know whether any of the professionals were considered for prosecution and/or discipline? It seems to me that, even with only pieces of the bigger puzzle, the allegations suggest that some of the professionals may have asked more questions and insisted on answers. 5. In the latter regard, the indictment (par. 29, p. 20) alleges that, in an audit of a related entity, the IRS decided to disallow a claimed purchase of an interest in a deal by a related Zukerman entity. The indictment alleges: “In connection with this determination [by the IRS], the IRS noted, in an explanation of its decision dated May 24, 2012, that the CPA had acknowledged to the IRS that the CPA did not believe that Bodley had even owned an interest in the Oil Company.” Got to be some kind of story there.